NATSIHWA is an association, founded on the cultural and spiritual teachings of our past and present leaders, which best serves our members in their important role in achieving physical, social, cultural and emotional wellbeing for all Aboriginal and Torres Strait Islander peoples. NATSIHWA has received operational funding until 30 June 2022 and is looking to recruit positions in order to for-fill the organisational requirements for the strategic deliverables which are set by our Board members. Please see the NATSIHWA web site: https://natsihwa.org.au/jobs-natsihwa for specific information on this position. This position will be based within the NATSIHWA Secretariat in Phillip (ACT) with a possibility of occasional interstate travel. b. how you meet all of the essential and any of the desirable criteria in the person specification. Once you have completed your letter of response, attached your CV and included the names of two referees, please forward onto Julie Guest eo@natsihwa.org.au. If you require further information please contact Julie on (02) 6221 9221. The National Aboriginal and Torres Strait Islander Health Worker Association (NATSIHWA) is the peak body for Aboriginal and/or Torres Strait Islander Health Workers and Health Practitioners in Australia. The Association was established in 2009, following the Australian Government’s announcement of funding to strengthen the Aboriginal and Torres Strait Islander health workforce as part of its ‘Closing the Gap’ initiative. 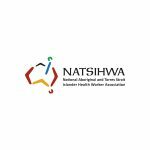 NATSIHWA’s goal is to promote the ongoing recognition of Aboriginal and/or Torres Strait Islander Health Workers and Practitioners as a vital and valued component of a strong professional Aboriginal health workforce to obtain better health outcomes for Aboriginal and Torres Strait Islander people. The Project Officer will undertake identified projects to meet outcomes against NATSHIWA’s Strategic Plan including; policy development, analysing documents, review and advice, to progress NATSIHWA’s priorities, to support a strong and valued Aboriginal and Torres Strait Islander Health Worker and Health Practitioner workforce. Experience in the use of information technology, including word processing packages, electronic mail, databases, spread-sheets and PowerPoint presentations. Knowledge and understanding of the current issues impacting on Aboriginal and Torres Strait health and wellbeing from both an historical and political perspective. Qualification or extensive experience in Public Health or Public Policy or similar.